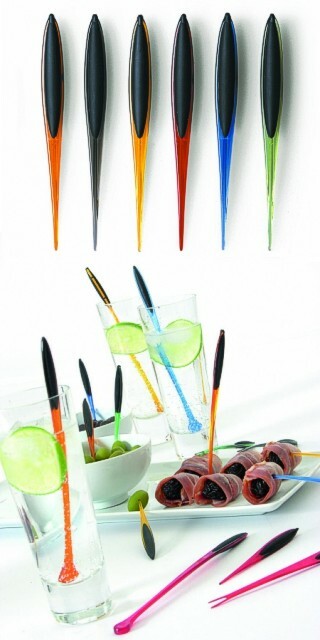 A very useful package of flexible and decorative party aids. The set consists of 12 robust acrylic picks in bright jelly colours and a clear cylindrical box with eye catching graphics, that can be used on the bar or table. Each cocktail pick measures 11cm (4¼ inches approx. ).